Get there fast & in comfortable style. 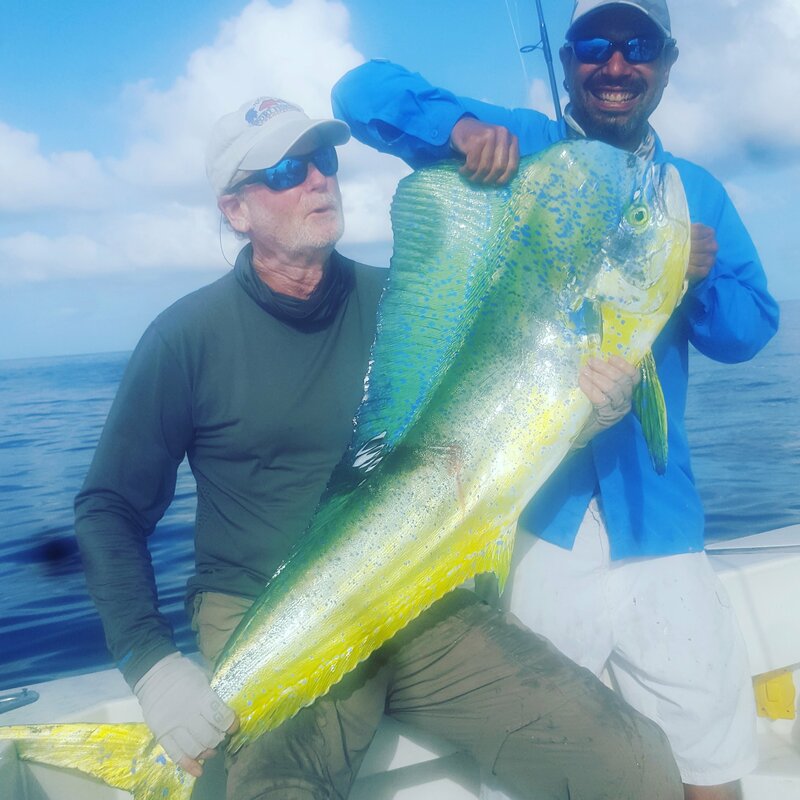 Experience the excitement of catching dolphin(mahi-mahi), sailfish, tuna, wahoo, marlin and other pelagic species on our Key Largo-Islamorada deep sea fishing charters. Enjoy the fight of a grouper fighting to get back to the coral reef, also catch snapper, yellowtail, mackeral, sharks, baracuda, pompano and numerous other species. Enjoy the fight of tarpon dancing on the water or the rip of a shark bite during sunset and night fishing charters. 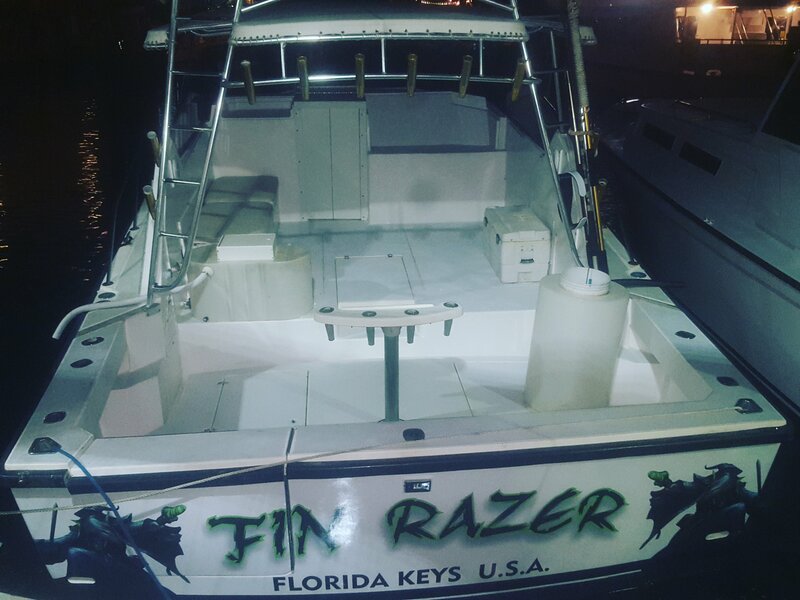 Enjoy the finest deep sea and offshore fishing in Key Largo with Fin Razer Keys Sport Fishing. The Florida Keys offers some of the worlds best sportfishing, reef, and wreck fishing. 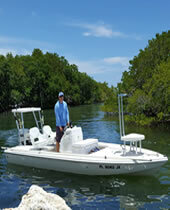 We have two fishing boats for your fishing experience. Fin Razer our newest boat is a 38′ Rampage Express with a 14′ beam, and all the comforts of home. Fin Razer is captained by Capt. Danny Lowit, a native South Floridian with over 15 years of experience fishing in the Keys and Caribean. Our backcountry fishing trips are led by Capt. Jeremy Mathis, also native floridian and lifelong fisherman, he will help guide you to that trophy tarpon or whatever else is on your bucket list. 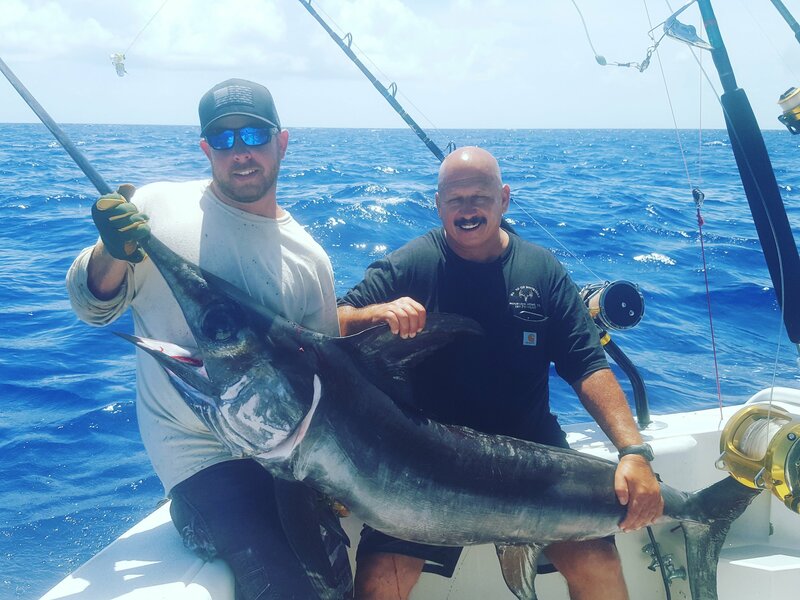 At Fin Razer Sportfishing our goal is to provide clients with the finest fishing charter experience available, we offer a relaxed,professional atmosphere appealing to families, novices, and experienced anglers. Call us for the trip of a Lifetime! We are conviently located in Key Largo -1 hour from Miami, 1.5 hours from Fort Lauderdale, 2 hours from Key West and 15minutes from Islamorada to the south and 20 minutes from Ocean Reef Club – also a short drive from the west coast of Florida-Naples, Fort. Myers. The drive is well worth it as the florida keys and key largo are considered the fishing capital of the world. Join us aboard one of our boats to experience a real florida keys fishing experience. 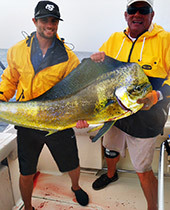 Our experienced captains are highly skilled at putting you on keys gamefish. Every season offers different opportunities to bend a rod. Also read our fishing reports or drop us a line to find out what is biting. Our most popular species caught are dolphin(mahi-mahi), sailfish, wahoo, tuna, marlin, grouper, snapper, cobia, amberjack, kingfish, sharks and barracuda.